One of the practical problems with pshutim mehudarim batim is that the titura easily warps. Not only because they are thin but because they are often used by people who are not careful with wet hair or gel etc. So my only solution until now is to hermetically seal them after sewing, like I do with gassos. It takes a lot of extra time but the superglue that seeps in holds the titurah elyona and the titura tachtona together strongly, largely preventing warping and curving of the titurah tachtonah. 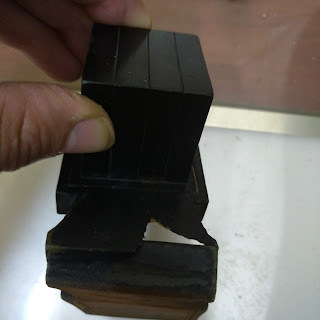 Recently, when discussing this issue with a mocher tefillin in Israel, he told me that he overcomes this problem easily by using a drop of PVA glue on the inside of the four corners before he sews up the tefillin. He explained to me that its not problematic because PVA takes a while to dry and he sews it up quickly, well before the glue dries. Not clear why this would be worse than the normal procedure with Gasos to sew and then glue afterwards. The whole hetter is based on the fact that at the time the Tefillin are sewn up it is only the stitches that holds the Titura together. Furthermore there is still some adhesion even before it dries fully. PVA does dry quite fast. Who's to say exactly what the level Of adhesion is when you make the final stitches? Ok obviously my response was predicated on the assumption that the mocher in Israel knows how fast PVA dries. If, at the time of sewing, it was only the stitches that prevent the two halves of the Titura from being pulled apart easily, it is ok (according to the shita that allows glue at all). I agree with R' Eli. I think it's "Russian Roulette". 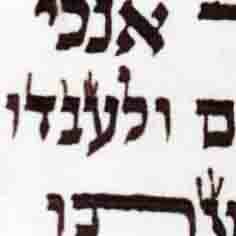 If it dries sufficiently lehalacha before the sewing is done it is pasul hence, it is a considerable risk. I stopped selling such batim some years ago but I recall that some of these batim already come with some sort of adhesive between the titurahs and are still sticky when opened. You must make sure that it isn't enough to hold the batim closed when pressed together as otherwise the glue may be mevatel the tefiros. I have a different problem with this. 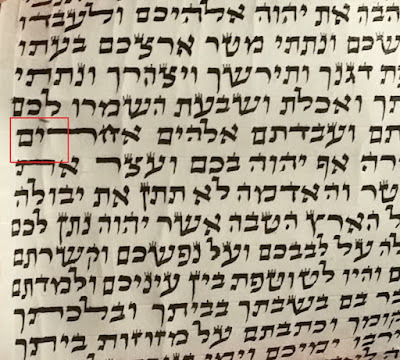 The whole reason that we are able to consider Peshutim Kosher, is based on the idea that when you glue pieces together, they are considered guf ecad. If that's the case, the second you put glue in the titura, it should be mevatel the tefiros lkol hadeos. It's a tartei dsatrei.